VISA is a certificate which is issued by the immigration authorities of a country that manifest the grant permission of a candidate to enter a particular country for a temporary stay for a particular period of time. A citizen of any country who wishes to enter any other country needs the VISA for to enter the territory of that particular country which will be issued by the immigration authorities of that country. Visa is placed in the passport of the traveler that marks the grant of permission for him to enter the territory for a particular period of time. 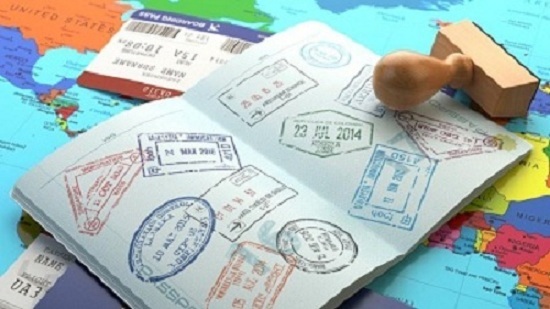 There are few countries in which a traveler might not require any visa to enter the premises of that country. Yet every country does not provide visa-free travel to their travelers but for some countries one do not require any kind of visa despite of the fact of his purpose of travelling or visiting that particular country. Any foreign citizen who is planning to come down to India requires a valid passport of their country and a valid Indian Visa. For all foreign nationals who will be entering India, it is essential to possess a valid international travel document of a national passport with a valid visa obtained from an Indian Mission or Post Abroad. Anyone who would arrive in India without a visa that bears the unaccurate validity and number of entries are the concern to board the immediate return flight. There is exactly no fees for immigration facilities at airports yet all the foreign people needs to ensure their possession of a valid Indian Airport before they proceed for their journey to India. Citizens of Nepal, Bhutan and Maldives do not require any Visa to enter the territory of India. Rather they do require any valid document that states their citizenship of that particular country. A valid National Passport, few photographs that showcases their nationality of the country they belong to, either Nepal/Bhutan or Maldives. The free visa facility of the nationals of Nepal, Bhutan and Maldives will be valid only till 90 days. If the citizens of Nepal and Bhutan enter India from any other country then there is a mandatory of passport requirement for them. If Nepalese and Bhutanese enter India from their respective countries, there is no requirement of any passport for them. While understanding the emergency needs, there is a provision of granting TLF (Temporary Landing Facility) or TLP (Temporary Landing Permit) to allow the entry of the foreigners in case of any emergency that includes the situations like death or illness in the family without any requirement visa on the cash payment of US $40/- (In Indian currency it is equivalent to Rs. 2400/-) This provision facility is extendable of transiting foreigners who have confirmed the tickets of their onward journey within 72hours. The provisions of TLF/TLP are not available for the citizens of Sri Lanka, Bangladesh, Pakistan, Iran, Afghanistan, Somalia, Nigeria, Ethiopia and Algeria. Besides this provision, foreign tourists who come down to India for the purpose of travelling in a group of four or more via air or sea, sponsored by any recognized Indian Travel Agency with a pre-drawn itinerary can be granted a collective landing permit for a specific time tenure on a written application of the Travel Agency to the immigration officer providing him with all the necessary details of the group that includes the passports, detailed itinerary. The travel agency has to take full assurance of the group and have to keep an eye on them as no individual will be allowed to leave the group at any destination. Every person who comes down to India has its purpose of stay. Keeping this in mind, there are different categories of Indina Visa one needs to apply as per their purpose for their stay and arrival in India. People with a purpose of making business related trips that include anything related to building sales or acknowledging contacts on behalf of the company/organization outside India. People who wish to explore India and visit the tourism with non-business related purpose will be given Tourist Visa. Tourist visa only include the visit to India for recreation, sightseeing, casual visits to meet friends and relatives. Other than these mentioned activities, no other activity can be performed under the provision of Tourist Visa. Please note that one should not have a residence or occupation in India if you are applying for tourist visa. Any individual who comes down to India as an employee or paid intern of any Indian Company or if the individual is associated to any NGO, he/she has to apply for Employment visa. Any individual who wants to visit India for any kind of Conference that includes the International Conferences on certain subjects. Individuals should have an invitation of the particular conference/seminar/workshop that is organized/conducted in India by the Ministry or Department of Government of India, State Governments, Public Sectors Undertakings, Central Educational Institutions, Public funded universities, or any organization which is owned or controlled by government of India or Statement Government, UN or its specialized agencies or reputed NGO’s. Emergency visa will be granted to any individual of Indian Origin holding an US passport in case of genuine emergencies that include death/serious illness of a blood relative or legal commitments. Any individual of Indian origin who comes down to India to visit their family and friends shall apply for Entry Visa. Rather the people who are from Indian Origin and wishes to visit India for travel purpose should also apply for Entry Visa. Any individual who would like to seek any medical treatment from any recognized hospital/medical center of India can apply for Medical Visa. With any blood relatives with the patient are allowed on their Medical Attendant Visas which would hold the validity same as the patients. Any student who wishes to join any recognized institution of India on a regular basis can seek Students Visa. Any individual especially the research professors or scholars and participants attending research conferences/seminars/workshops in India shall apply for Research Visa. Any individual who travels to India with a religious purpose shall apply for missionary visa. Individuals with the whole sole purpose of travel through India to reach his/her ultimate destination shall seek Transit Visa. Any professional journalist or photographer can seek journalist visa. Applicants who hold US Passports (only those who are born in USA but are with Indian Origin are eligible) can apply for Urgent Visa. These urgent visa applications require some mandatory document yet they shall be accepted without any prior appointment.